29m², nice, well equipped, 2 bedrooms, terrace, garden furniture, electric heaters, comfortable. Realize your holiday desires in the heart of a natural, calm and preserved area. 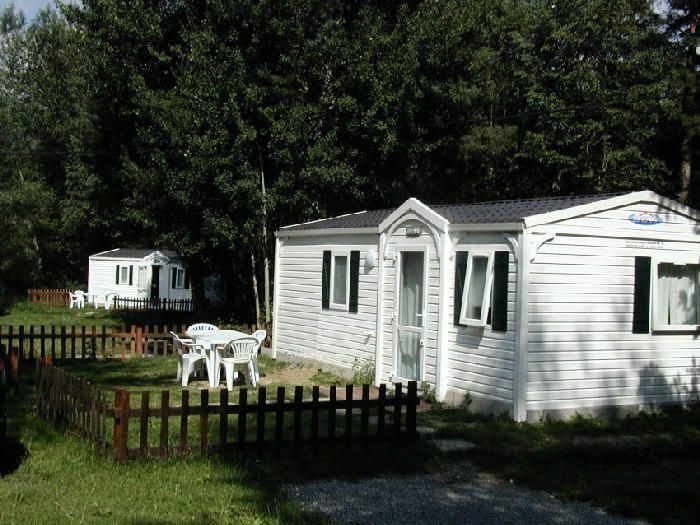 Come relax at Camping Saint James Les Pins *** located at the gateway to the natural parks of Queyras and Ecrins, near the lake of Serre-Ponçon. The campsite is 1km from shops and 13km from Vars and Risoul. A warm welcome will be provided in a relaxed atmosphere and you will have a set of services and activities to entertain you. Mobile home of 29m² for 4 people composed of a terrace, a bedroom with a double bed (140cm), a second bedroom with two single beds (70cm), a living room, a shower room and separate WC. The mobile home is composed of a kitchenette equipped with dishes, 4 gas burners, a refrigerator, a microwave, a sink and a coffee maker. The terrace includes a garden furniture. Electric radiators, pillows and mattress pads are included in the rooms. Charges (surcharge): In winter and until April electricity is extra. In Aix en Provence: A51 towards Sisteron / Gap. A51 finished at the Saulce. Direction Tallard / Briançon by the D942. At the end of the D942, direction Embrun / Briançon by the RN94. In Grenoble direction Gap by the Bayard pass on RN85. In Grenoble direction Briançon by the Lautaret pass on the RN91. In Briançon, direction Embrun / Gap by the RN94.